I bring good news to you! Yes, today´s post is the very long awaited post that so many of you have been asking for. Today is the day I leave you with my day on a page inserts. If you have no idea what I´m talking about, you can check out my Youtube video here and skip to minute 10:30 to see the inserts I created for my planner. I´m so happy with the response everyone has been giving me in regards to these pages and I can´t wait for you to try them out! In fact, once you do, I would LOVE LOVE LOVE to see how you end up using them and filling them out, so please send me pictures of your planners and/or decorated pages! Or if you prefer, you can also post your images on Instagram with the hashtag #plannerholicsinserts and tag me @plannerholics so I can see how they look. It would be awesome if I can show a few of your pictures on this space and share your great ideas so that maybe we can give some inspiration to others who might not be sure how they want to use them. 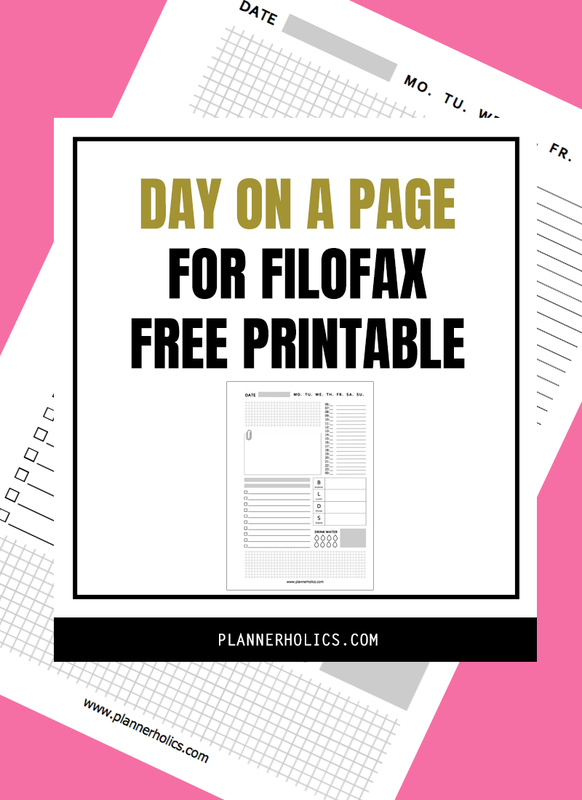 The file consists of 2 pages, each page has a wider margin space either on the left or right side in order to punch the holes for your planner. If you have any questions or are having trouble printing let me know! This work by Plannerholics is licensed under a Creative Commons Attribution-NonCommercial 4.0 International License. Please download, use, share, adapt but don´t charge or use commercially.